This is the tomb of the Italian physician and surgeon Andrea Vaccà-Berlinghieri, who died in Orzignano, Pisa, in 1826. 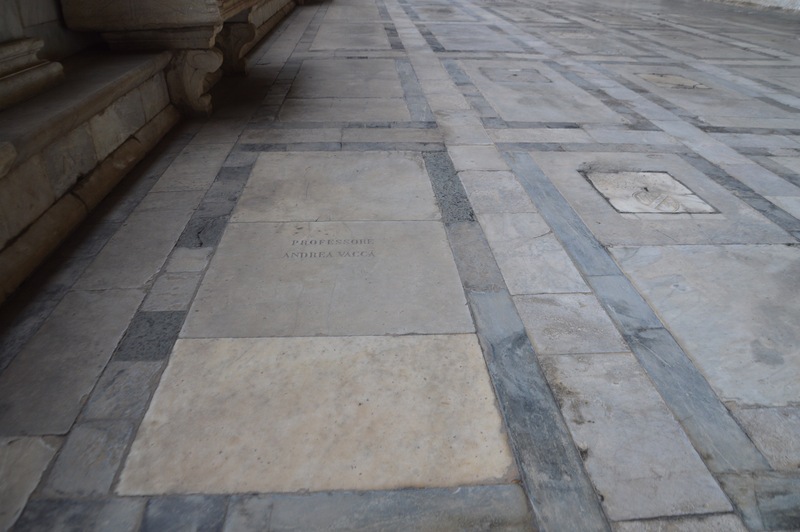 He was buried in the Monumental Cemetery, located in Pisa (Piazza del Duomo, 17). He was a professor at the University of Pisa, and he is considered the initiator of the Pisan surgical medical school. 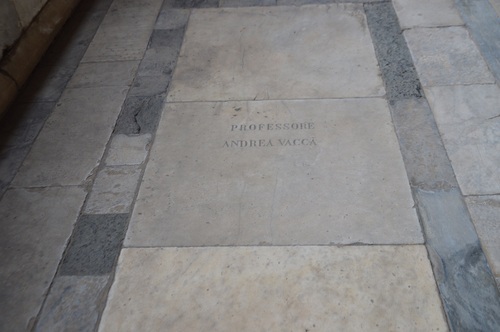 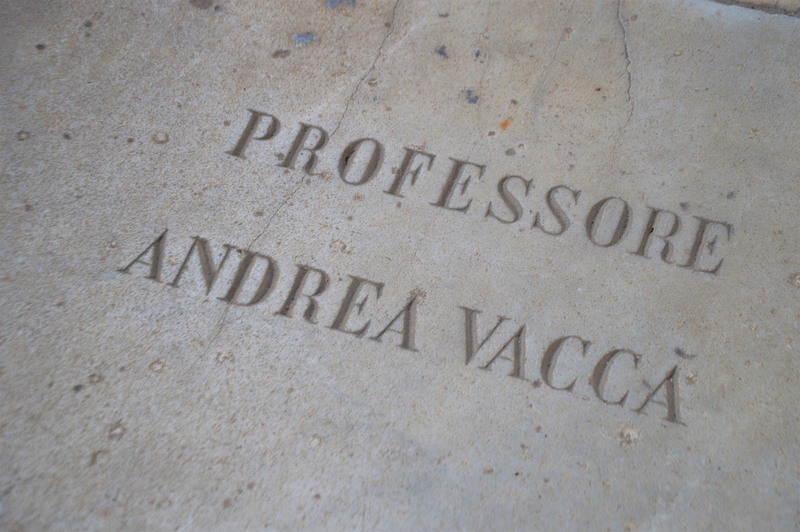 The Italian inscription reads as follows: "PROFESSORE / ANDREA VACCA'" ("Professor / Andrea Vaccà").